On March 9, 2012, over three hundred faculty members, students, alumni and community partners gathered at the USC Ronald Tutor Campus Center for the 23rd Occupational Science Symposium, hosted by the Division of Occupational Science and Occupational Therapy at the Ostrow School of Dentistry of USC. 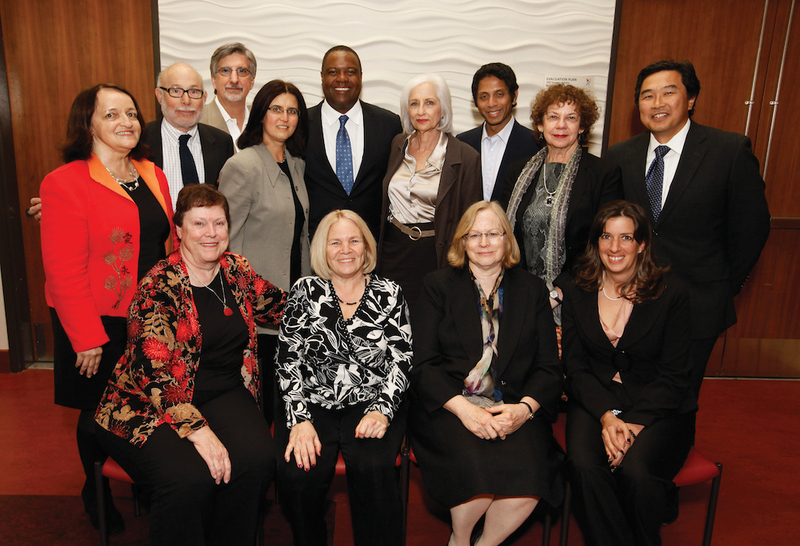 The 2012 rendition of the symposium was entitled “Autism in Everyday Life: Interdis- ciplinary Research Perspectives at USC,” and each of the day’s speakers shared their innovative research, clinical practices, or personal perspectives on autism and its impact on everyday life experiences. Florence Clark, associate dean of the division, opened the event with a moving tribute to the late Mary Reilly (BS ’51), former director of the graduate program in occupational therapy at USC during the 1960s and ‘70s, who passed away on February 28 at the age of 95. 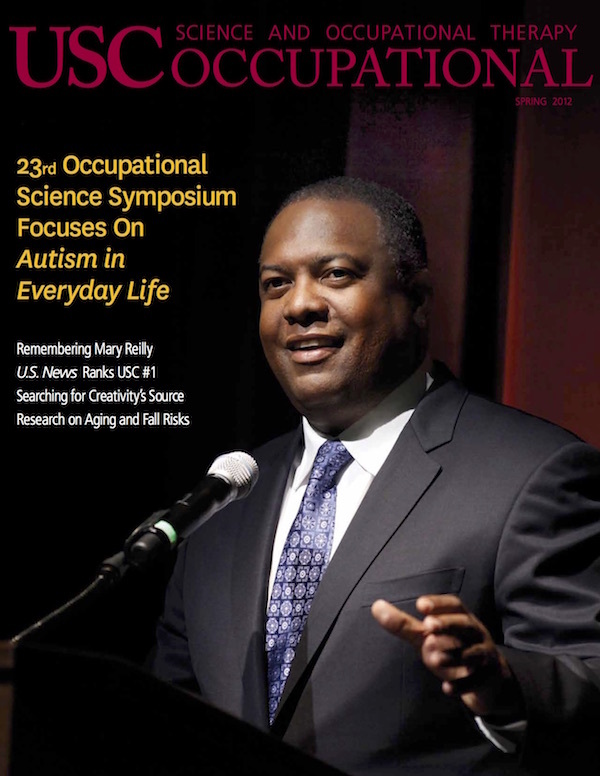 Reilly was an iconoclastic leader who pushed the profession to explore and embrace philosophies of human behavior which ultimately laid the groundwork for establishing the academic discipline of occupational science. Clark also posthumously accepted the Pathways.org Pioneer Award on behalf of A. Jean Ayres (PhD ’61, MA ’54, BA ’45), who was a renowned developmental psychologist and former USC faculty member. Mary Lawlor, professor and director of research at the division, unveiled the division’s new Sensory Integration, Engagement and Family Life Initiative. This initiative aims to capitalize on the division’s research expertise in autism-related fields, relocate faculty offices and laboratories to leverage the value of physical proximity, and continue building a robust portfolio of NIH- funded research on projects related to autism and autism spectrum disorders (ASD). Catherine Lord, this year’s recipient of the division’s Patricia Buehler Legacy Award for Clinical Innovation, delivered her keynote address entitled “Early Intervention in Autism Spectrum Disorders: Alternatives and Priorities.” Lord is Director of the Center for Autism and the Developing Brain, a subsidiary of Weill Cornell Medical College and New York-Presbyterian Hospital. She is best known for developing gold-standard assessment tools used to diagnose autism and ASD, and emphasized the synergies between her work’s objectives to more accurately diagnose children with autism and the clinical therapeutic interventions that typically follow diagnosis. Pat Levitt, director of the Zilkha Neurogenetic Institute and chair of the Department of Cell and Neurobiology at the Keck School of Medicine of USC, presented his lecture entitled “Looking at Autism through a Neurobiological Lens.” A neuroscientist, Levitt’s human genetics and basic research studies focus on understanding the causes of neurodevelopmental and neuropsychiatric disorders such as autism. His clinical studies address autism heterogeneity by studying children with autism who also have co-occurring medical conditions, such as gastrointestinal disorders, with the goal to develop better diagnostic criteria and personalized treatments. Clark returned to the stage to outline evidence demonstrating the effectiveness of sensory integration interventions for children with autism and ASD. 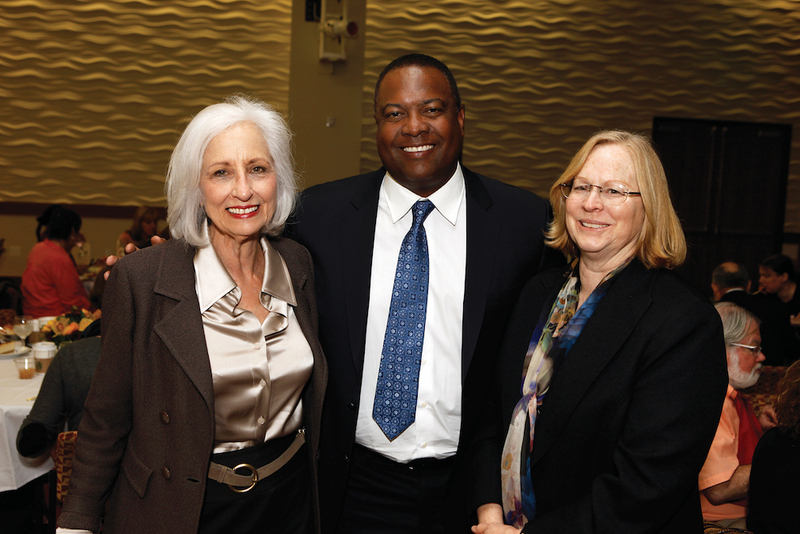 For many, the Symposium highlight was lunch guest speaker Rodney Peete (BA ’89). Peete, a former USC and National Football League quarterback, is also father to a son with autism, Rodney Jackson “R.J.” Peete. Since retiring from football, Peete has become an ardent advocate for autism awareness, education, and family support largely through the work of his non-profit HollyRod Foundation which he cofounded with wife, actress Holly Robinson Peete. In 2010 he released his first book, Not My Boy! A Father, a Son, and One Family’s Journey with Autism, which chronicles his family’s experience raising a child with autism. The Peete family has become celebrated advocates for autism education and awareness, especially in the African American community. Peete thanked Olga Solomon, assistant professor, for her NIH-funded research study “Autism in Urban Context” which is examining health and service disparities in autism and ASD diagnoses of African American children in Los Angeles. At the conclusion of his address, Peete received a standing ovation from the ballroom audience. “Rodney’s story gave voice to an oft-unheard perspective in the everyday autism experience: the father’s, and there was not a dry eye in the room,” said associate dean Florence Clark. Susan Knox (PhD ’97, MA ’68), the recipient of the division’s 2012 Wilma West Award in recognition of career contributions to the discipline of occupational science, lectured on the themes of meaning, belonging, and play as related to persons with autism and ASD who are aging into retirement. Knox has a younger brother with autism, and she has authored a standardized tool assessing play styles in preschool children and lectured extensively on play styles and autism. 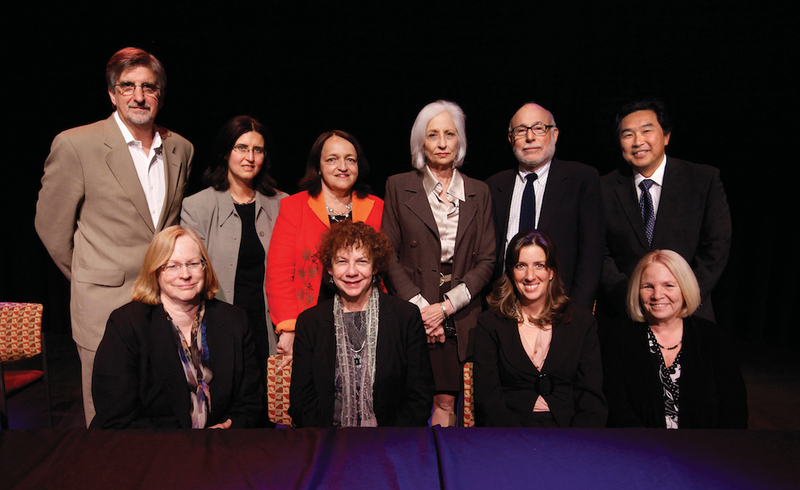 Two discussion panels followed, featuring faculty from the Division of Occupational Science and Occupational Therapy, the Viterbi School of Engineering, the Keck School of Medicine of USC, and the School of Cinematic Arts. More information about the USC Occupational Science Symposium and the full list of 2012 event speakers is available on-line at chan.usc.edu/research/symposium.